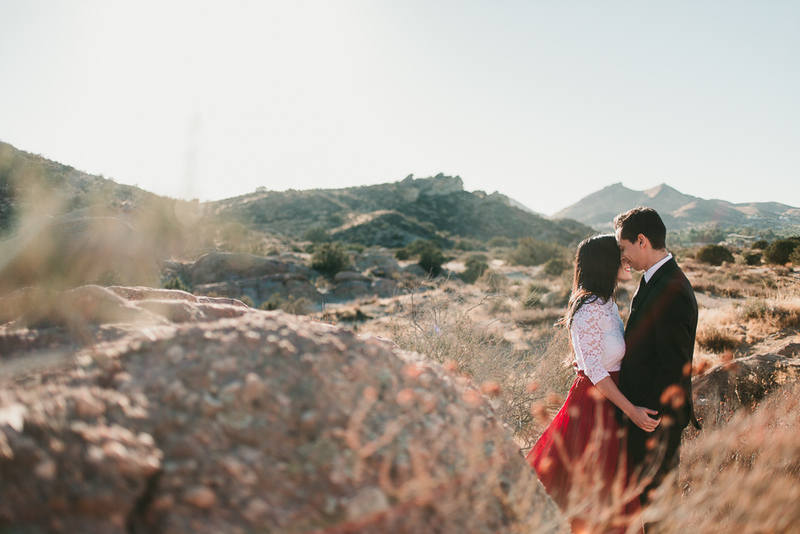 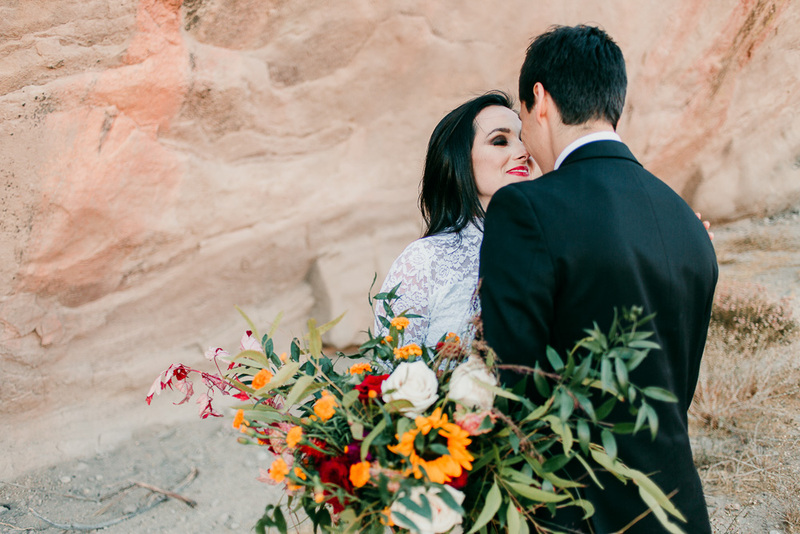 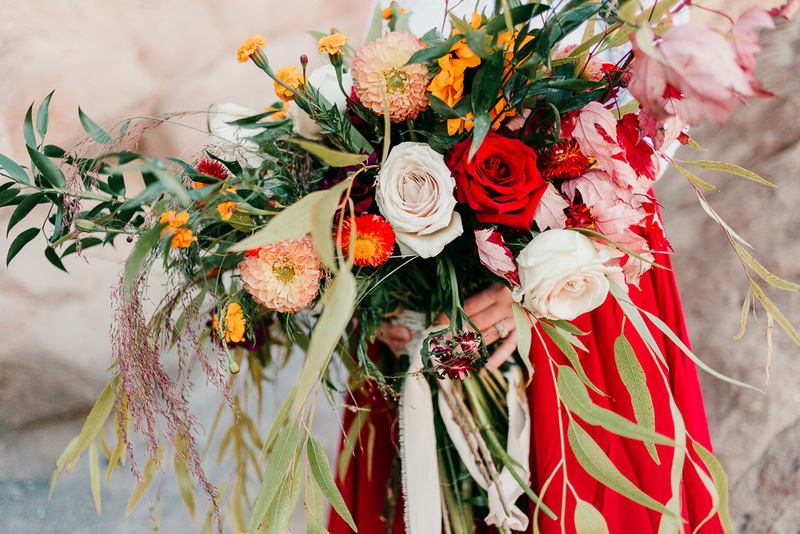 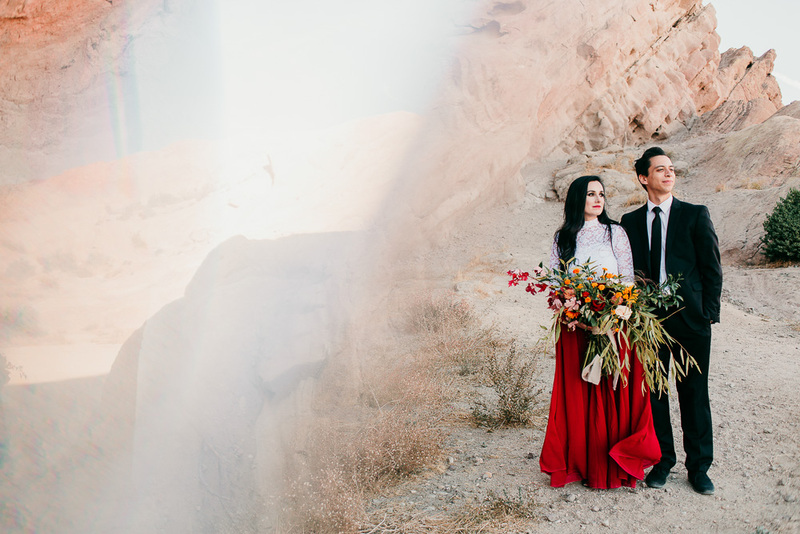 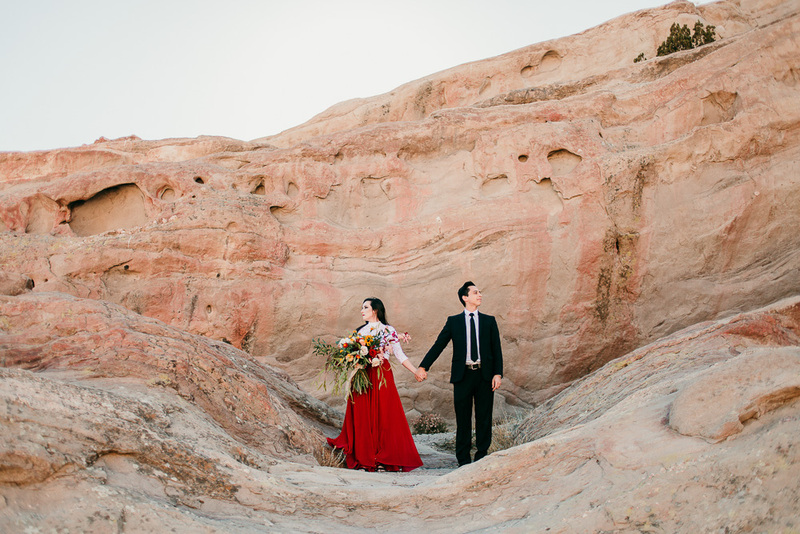 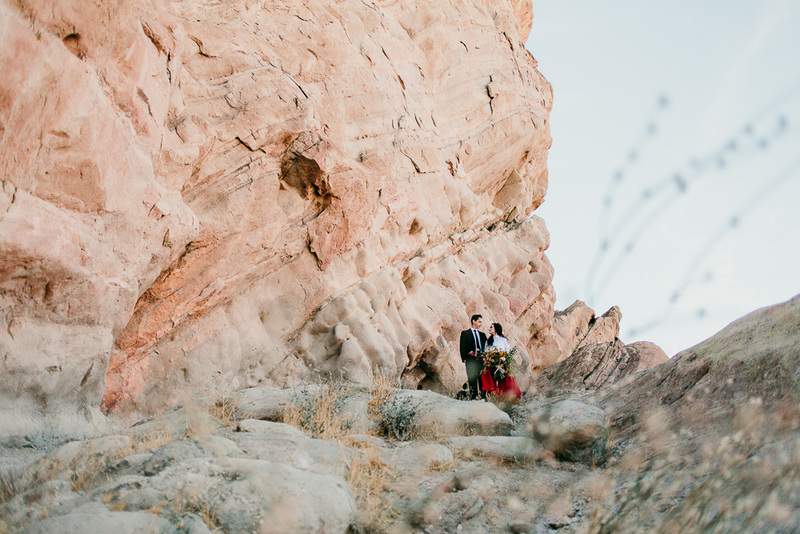 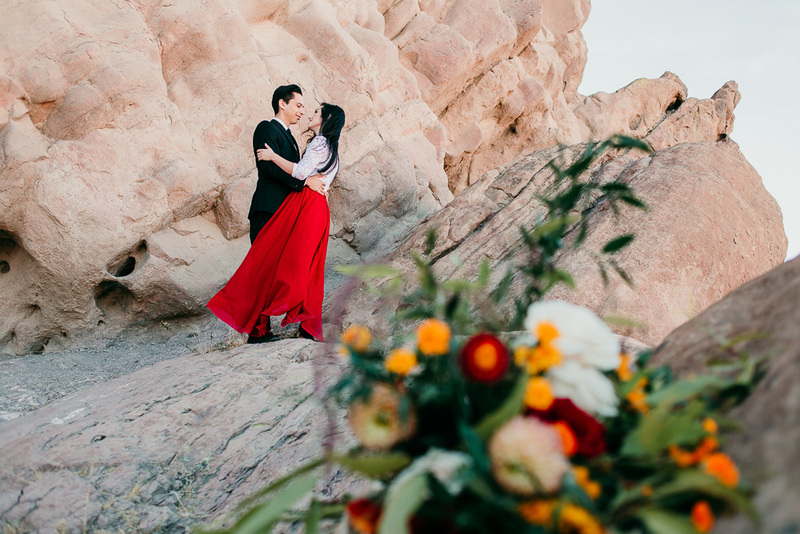 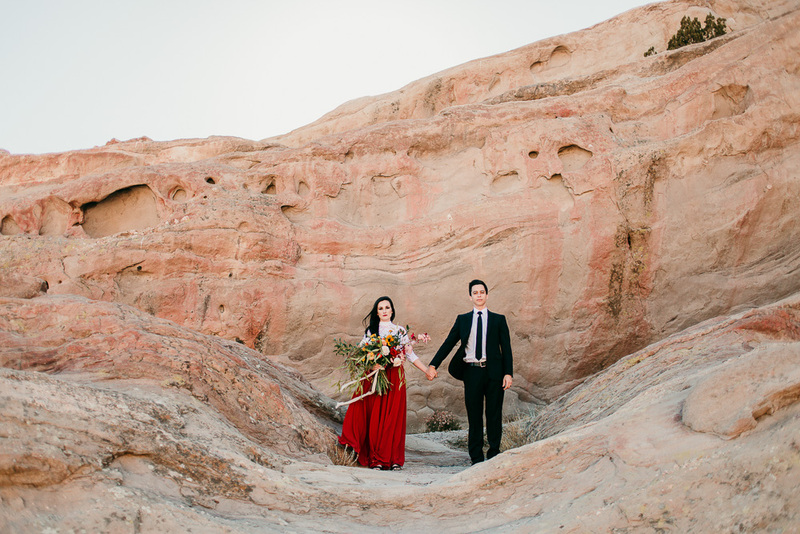 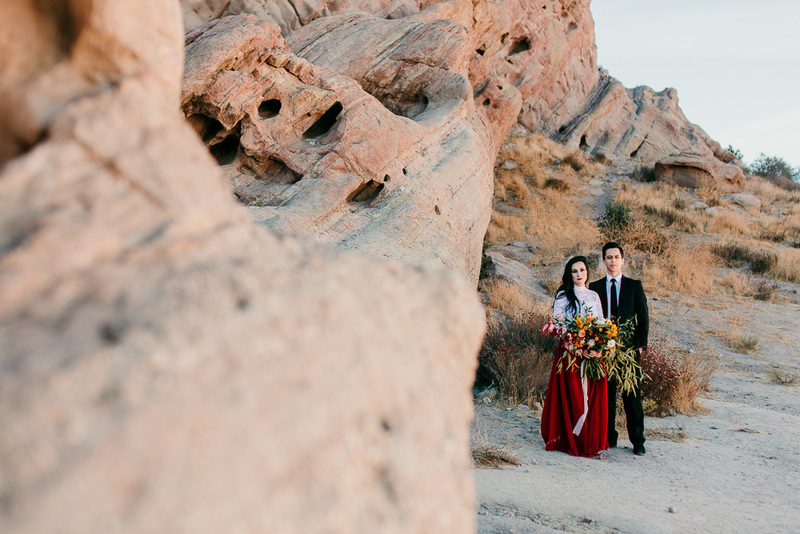 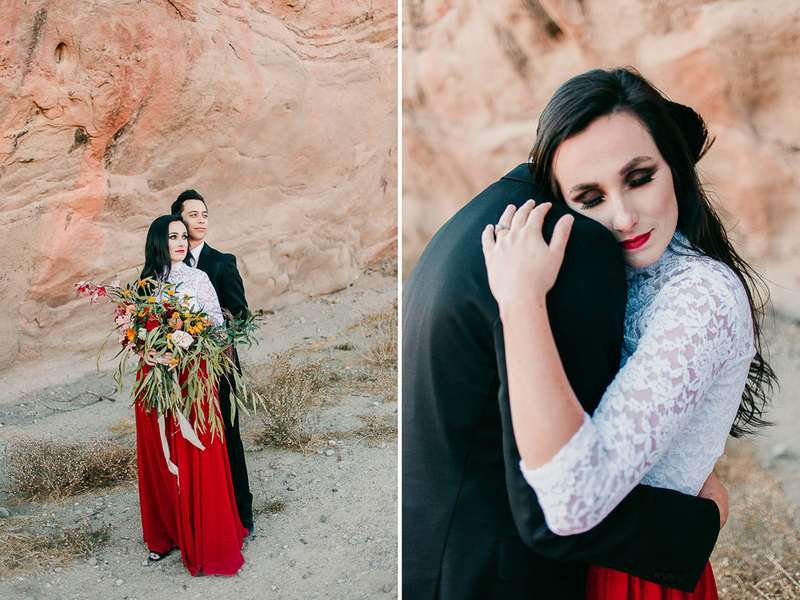 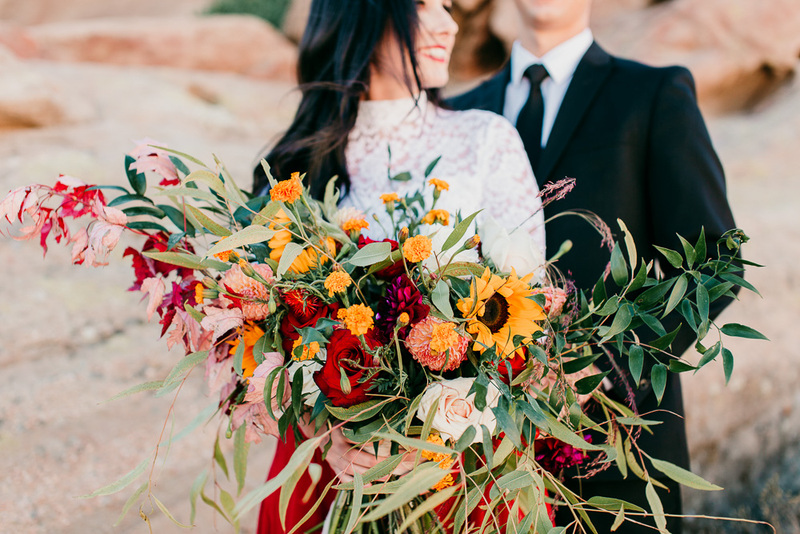 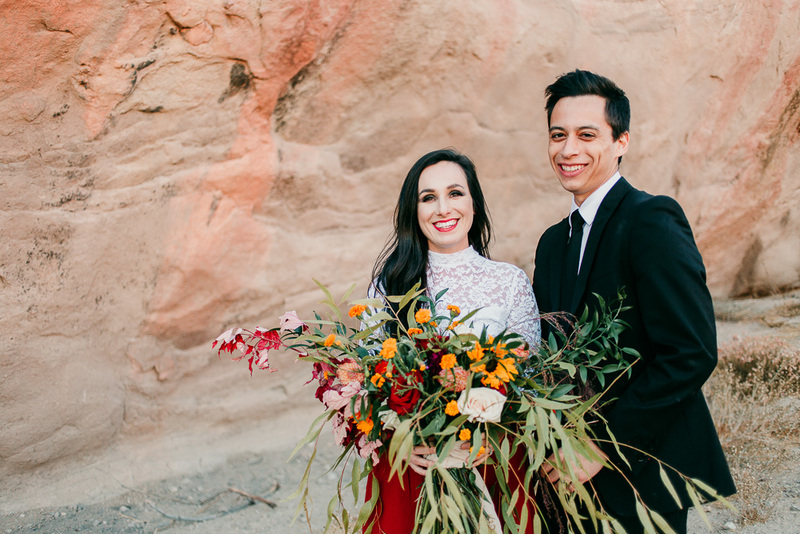 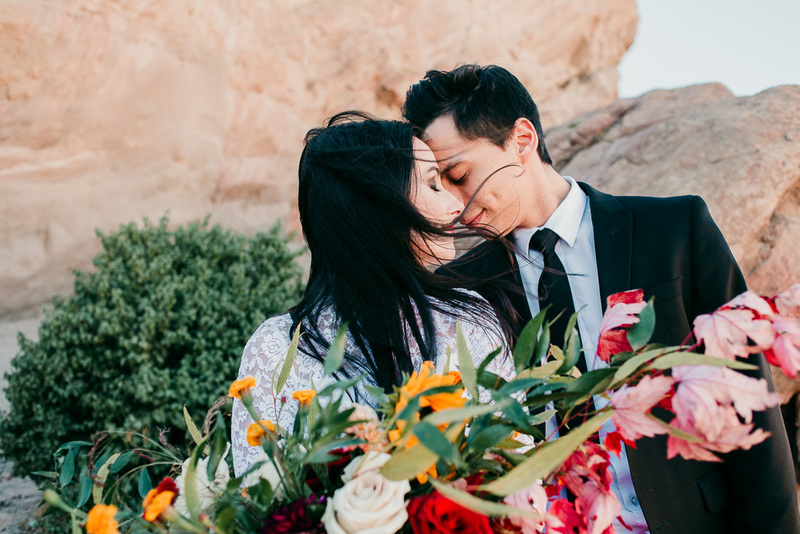 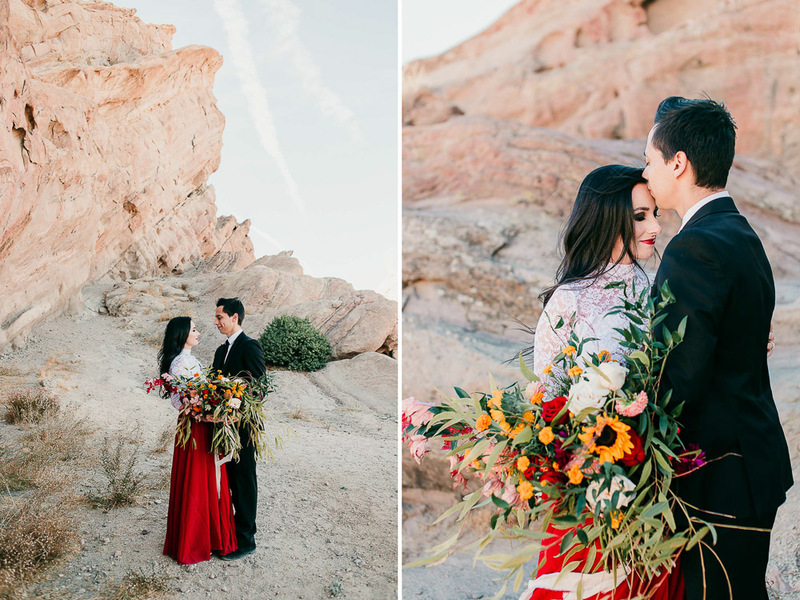 So many great things came together for this elopement inspiration shoot! 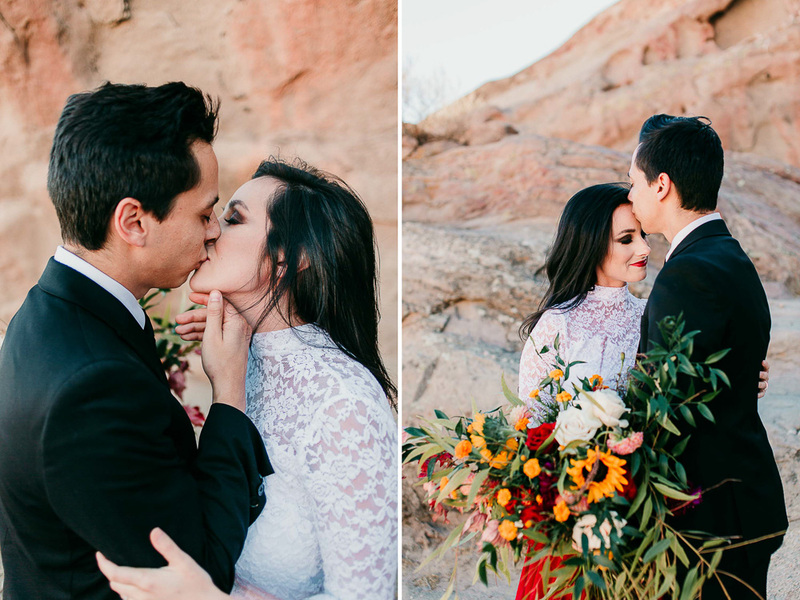 A little backstory, when I went to Minneapolis to shoot a wedding in October, I went to the Mall of America and spent a ridiculous amount of time inside. 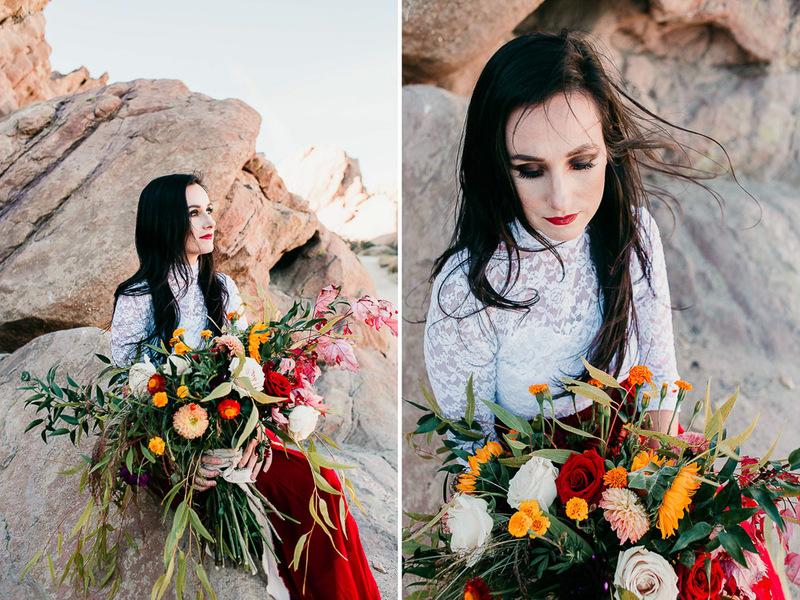 While in the three story Forever 21, I found this white lace top on sale, and this shoot idea immediately came to me. 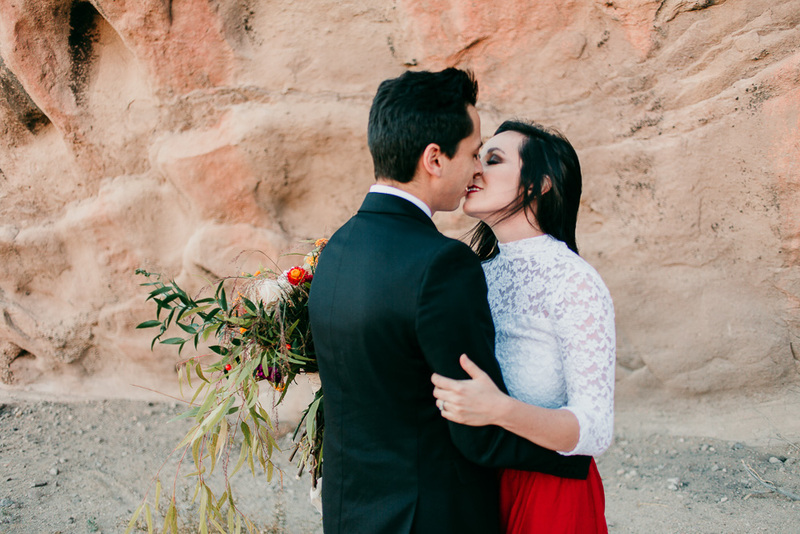 Visions of the lace top, a bright red skirt, and a giant floral bouquet swirled in my head. 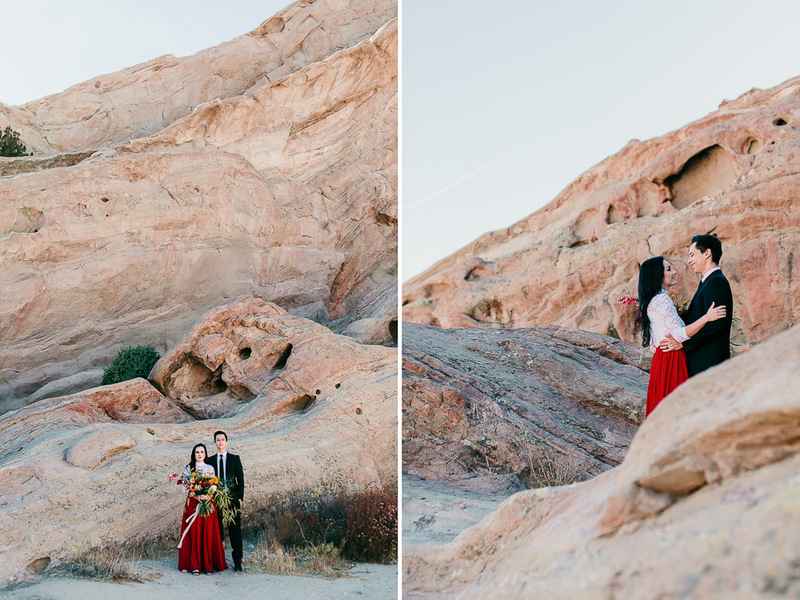 And oh what a joyous day when visions turn into reality so perfectly! 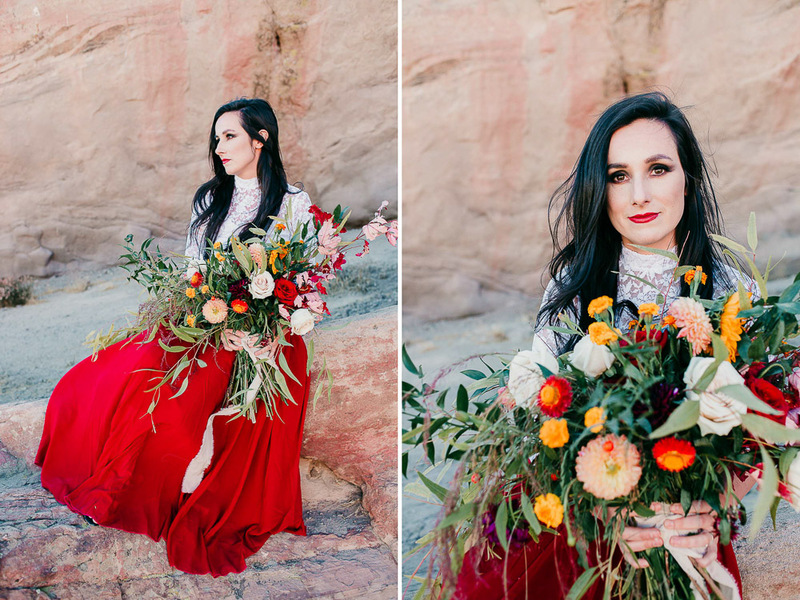 Jen at Urban Marigold provided this incredible floral arrangement, and Rani at Beauty by Rani provided this gorgeous slightly macabre makeup look. 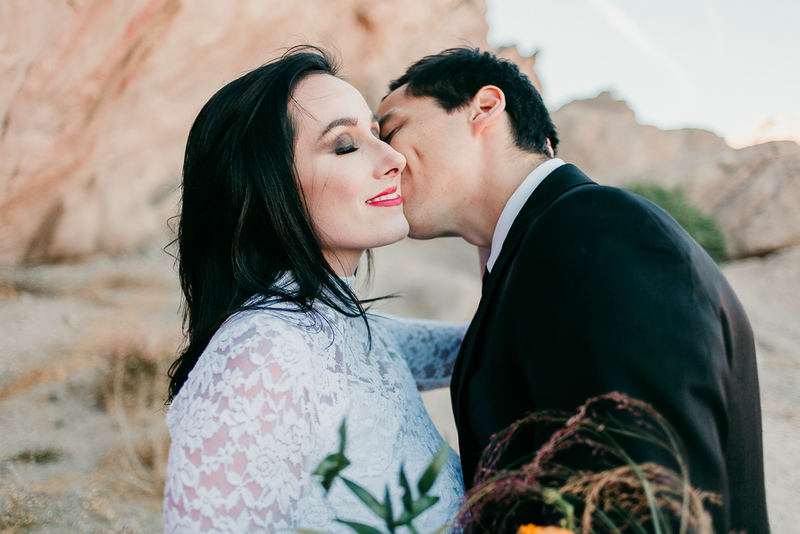 Their links are below! 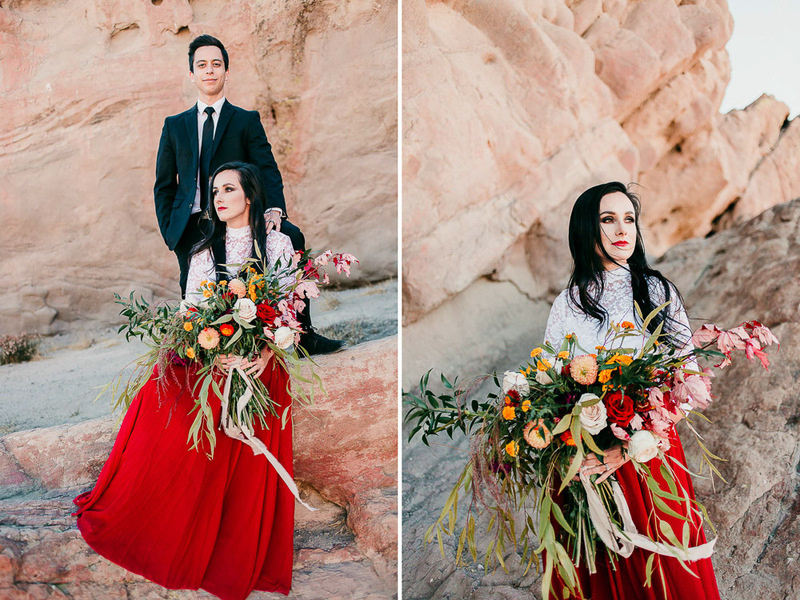 Sarah and Charlie (my models) are husband and wife, and friends to me, and I seriously couldn't have asked for anyone more perfect than Sarah with her gorgeous long dark hair to model this outfit. 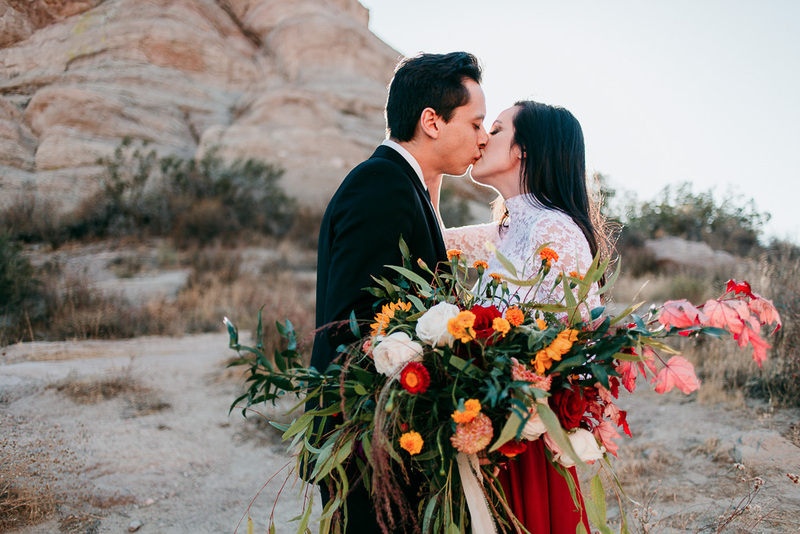 As wedding season winds down it's fun for me to put together these styled projects to really focus on creativity and honing my skills, and I really couldn't be happier with how this turned out! 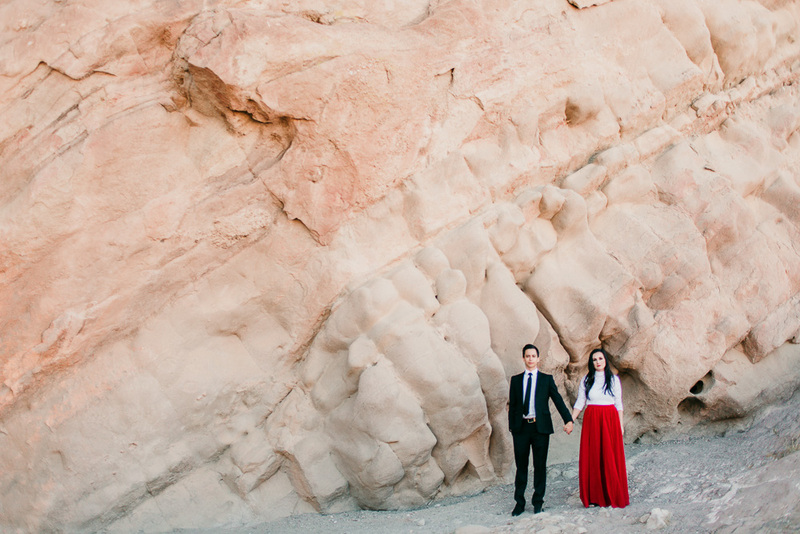 100 Layer Cake recently featured this shoot on their blog: See their post HERE! 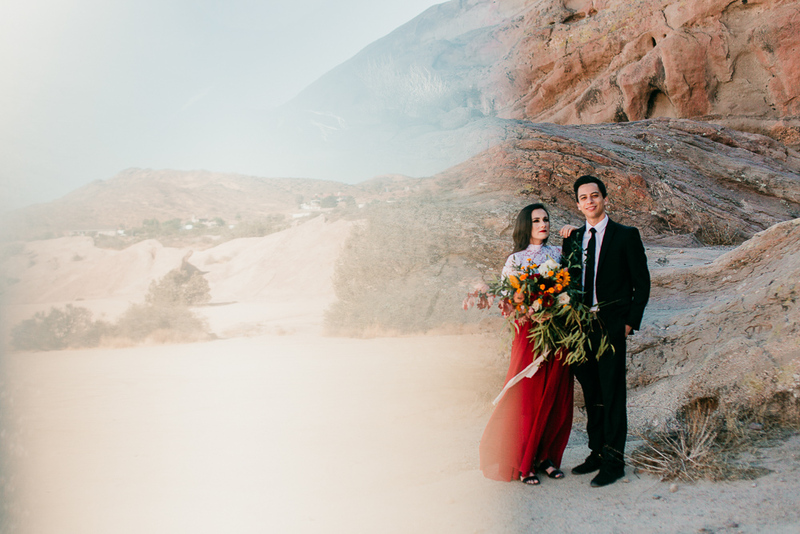 Some of the images that look like they're made of two different scenes were made using a prism.